2016 has been an eventful year already! Since the turn of the year we have been inundated with Action Plans from schools up and down the country and we have been blown away by your creativity! Here’s a quick recap of what’s been happening in the Blue Star Programme since our last newsletter and what is coming up in the months ahead. Since the turn of the year, Ambassadors and MEPs have been busy visiting schools up and down the country! 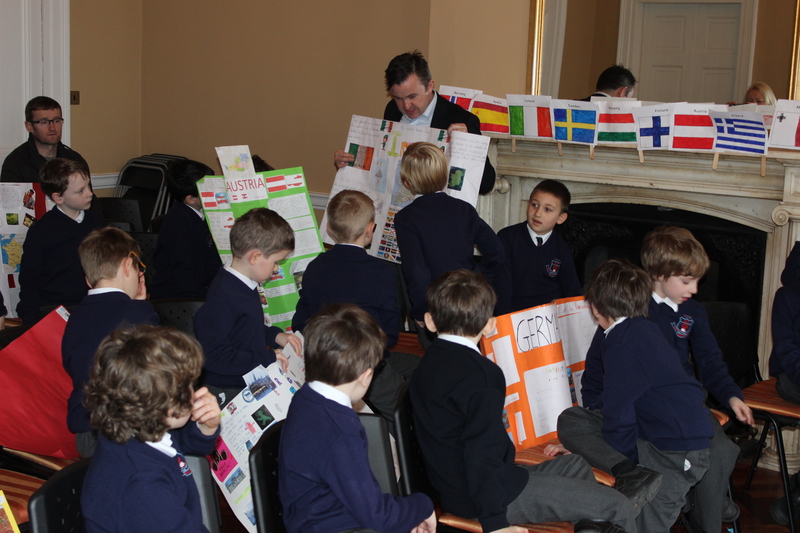 School visits are a great opportunity to showcase pupils’ work as part of the Blue Star Programme and for pupils to learn about the EU in a practical, hands-on way. 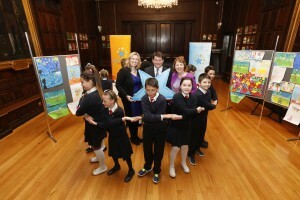 Brian Hayes MEP enjoying the work of CUS’s pupils. Why not write to your local MEP or invite one of the EU Ambassadors to visit your school between now and the summer holidays? 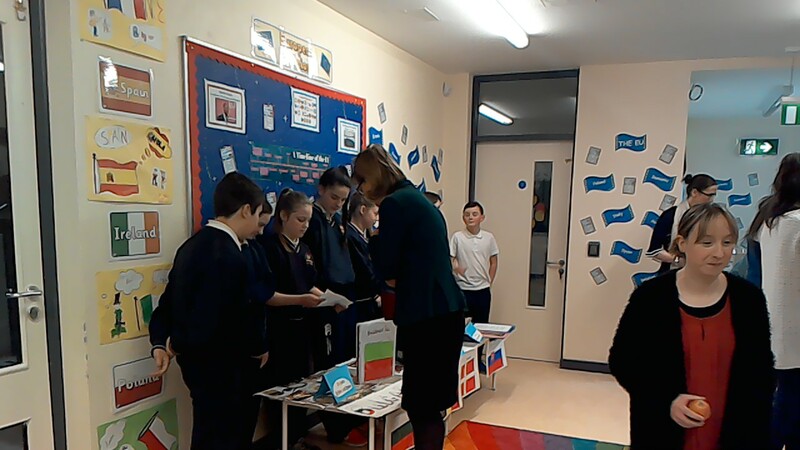 MEPs and Ambassadors love getting involved in the Blue Star Programme and seeing how pupils around the country are learning about the work of the EU, so don’t hesitate! Deirdre Clune MEP investigating the work being done at St. Mary’s Central NS in Tipperary. 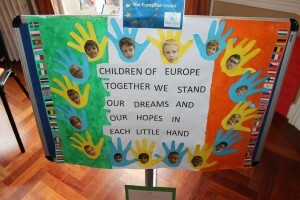 We do our best to come along to schools when they are hosting a visit from an MEP or Ambassador and were delighted to join CUS recently when Dublin MEP Brian Hayes visited the school. 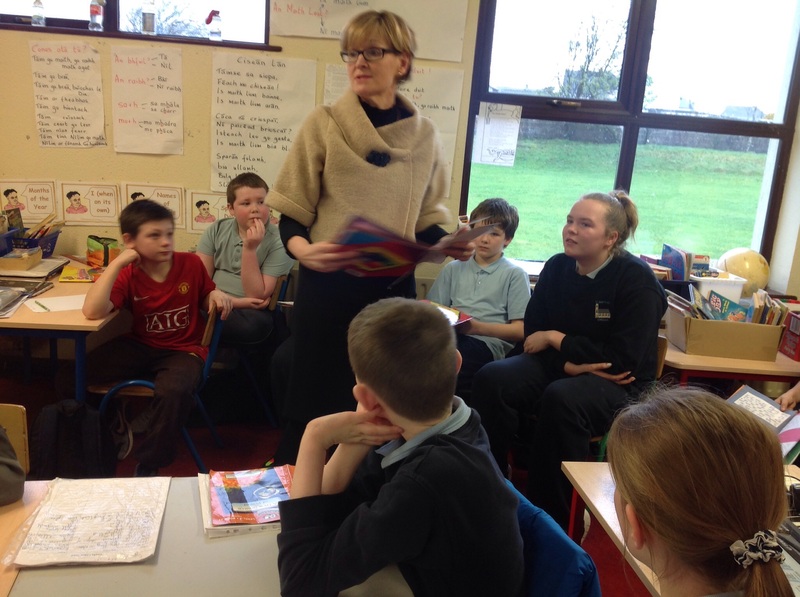 Mairead McGuinness MEP with the pupils of Creggs NS in Galway. We would like to thank all the MEPs, Ambassadors and TDs who have visited Blue Star schools, and of course the schools and teachers themselves for all their work on the Programme and in organising the visits. We look forward to visiting plenty more schools between now and the summer holidays and to hearing about many more visits around the country. On Saturday 6 February we held our annual teacher training workshop in Dublin with over 20 Blue Star teachers from around the country. We had a great day of sharing ideas and experiences and hope that everyone who came along benefited from it. Thank you to all the teachers who joined us (from Cork, Limerick, Tipperary, Kerry, Galway, Roscommon, Leitrim, Louth, Kildare, Meath, Wicklow and Dublin!). Now is a great time to get thinking about how you want to mark Europe Day, the culmination of the Blue Star Programme on Monday 9 May. In the past we’ve seen food fairs, parades in local communities, school Eurovision competitions, art exhibitions inspired by famous European artists, flag days, parent’s days and plenty of VIP visits. Over the last three years we have also marked the week with a ‘Handshake for Europe’ whereby pupils and teachers shake hands with each other to recognise the solidarity that exists among European citizens and to celebrate the diversity that comes with being part of the EU. So please, do get in touch and let us know what you are planning for Europe Week! It is a fantastic opportunity to display your hard work and we will be more than happy to publicise your events. 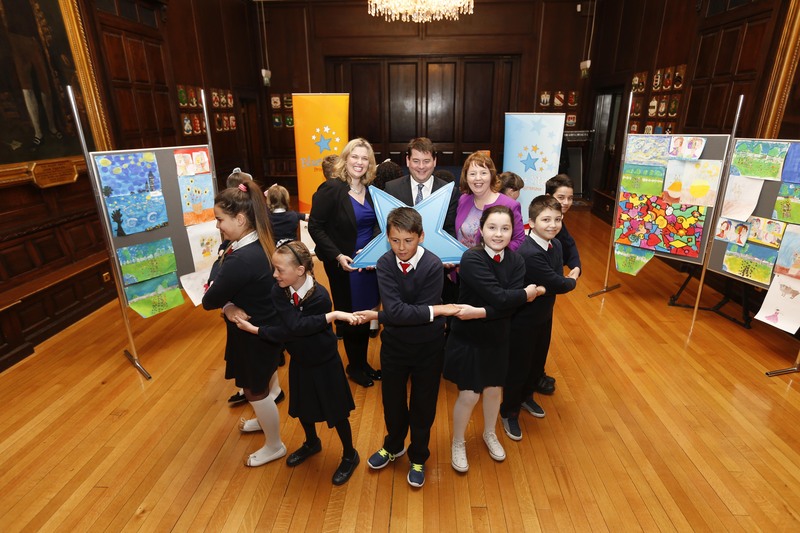 It is also a great idea to use Europe Week as an opportunity to bring your Blue Star work to the wider community – think about inviting parents, families and public representatives, for example. And that’s that! If you want any more information on anything discussed above, feel free to get in contact with us and we’ll be more than happy to advice. Until then, best of luck with all your continuing work and we look forward to hearing from you soon! -Ryan and the Blue Star team.